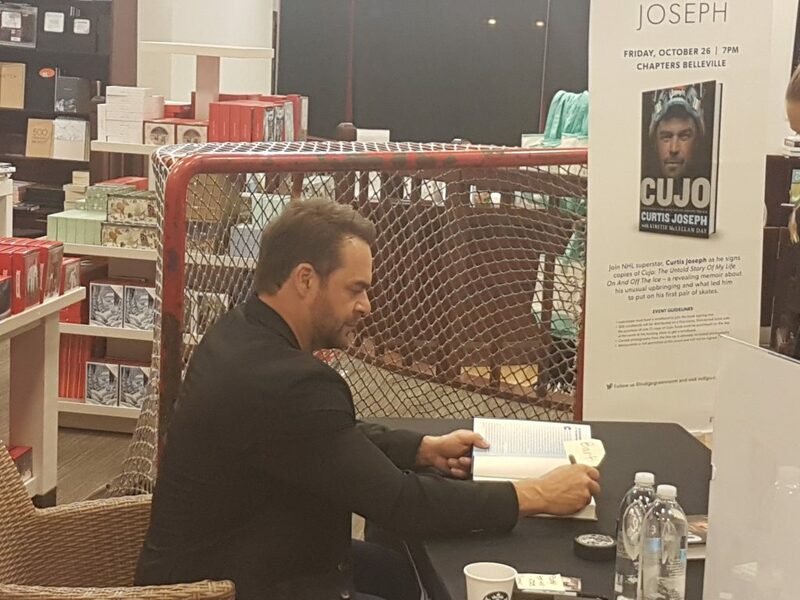 BELLEVILLE – Former Toronto Maple Leafs goalie Curtis Joseph, the man better known as Cujo, was at Chapters in Belleville promoting his new memoir Friday. The book is called Cujo: The Untold Story Of My Life On And Off The Ice. Joseph, who was a fan favourite in his National Hockey League career, is on a book tour across the province. QNet News spoke to some of Cujo’s fans who made their way to Chapters last Friday.